In this series, Deb Parsons teaches on the need to give and receive forgiveness, the benefits of doing so (and the consequences of refusing to forgive). Three audio mp3 sessions, with PDF slides. 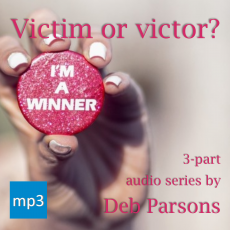 3-part audio series by Deb Parsons. Messages taught at Freedom Church, March/April 2018.